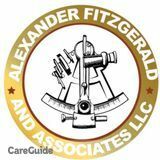 Alexander Fitzgerald & Associates LLC. We are a boutique firm of Accountants, Tax Advisors, and Management Consultants. We are a boutique firm of Accountants, Tax Preparers and Advisors, and Consultants. We offer a wide range of accounting and bookkeeping services which include set ups; clean ups; forensic accounting; and financial statement preparation and presentation. We also provide tax services to individuals and businesses. We specialize in Tax Mitigation Strategies for individuals and businesses. We also have a specialized Nationwide focus in the area of Income Tax Resolution work which we perform in conjunction with major Law Firms. Call us via 470-207-... for more information. I can organize your accounting.